Brian Ross's four-week unpaid suspension is over. He is coming back to ABC News -- but not to his old job. His title will still be "chief investigative correspondent." But he will be moving to Lincoln Square Productions, a separate unit of ABC that is based a few blocks away from the news division headquarters. Ross and his longtime producer Rhonda Schwartz, ABC's chief of investigative projects, will work on "long-term projects" like prime time documentaries, according to two sources with knowledge of the plan. He will also contribute to "20/20" and "Nightline." ABC News president James Goldston announced Ross's new assignment at ABC's morning editorial meeting on Friday. Ross will start there on Monday, one of the sources said. Ross was suspended in December after making a major error in a breaking news report about former National Security Adviser Michael Flynn. He corrected his reporting more than seven hours later on "World News Tonight." In a staff meeting after Ross was suspended, Goldston expressed "rage and disappointment and frustration" about the error. Goldston also said that Ross would no longer cover stories related to President Trump -- an obvious demotion for Ross. The four-week suspension ended on Thursday. But Fox News pointed out that he was not at work on Thursday, leading to fresh speculation about his future. One of the sources said there had been ongoing talks between Ross and Goldston about what the new role would be. 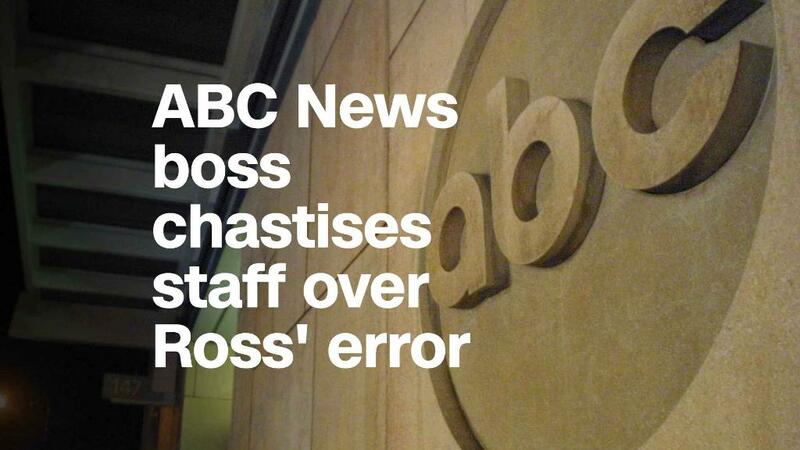 The solution, Lincoln Square Productions, means that Ross will not be involved with live special reports, like the one that caused trouble for ABC last month, or with live coverage more generally, the source said. Lincoln Square Productions is ABC's nonfiction production company. The group produces documentaries, special reports and other shows for ABC and other networks. "I'm pleased to be back and looking forward to doing some important work for LSP, Nightline and 20/20," Ross told CNNMoney.